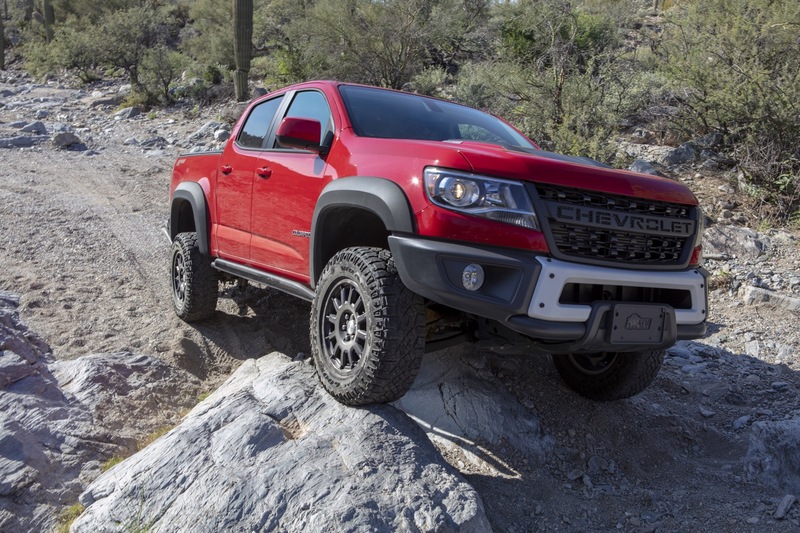 The Chevrolet Colorado is considered to be the catalyst for injecting some life into the midsize truck market, where offerings from Nissan and Toyota remain long in the tooth, but strong sellers nevertheless. 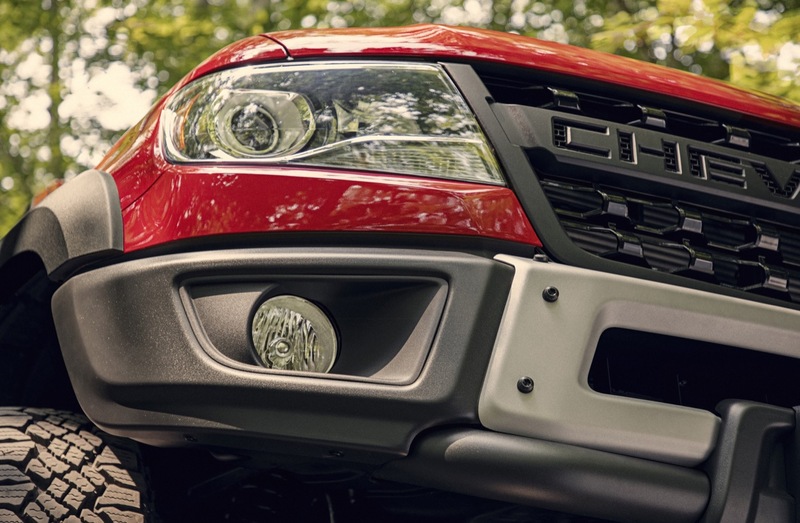 The entire segment is currently enjoying growth, and new entrants from Ford and Jeep suggest that the space will grow even further. 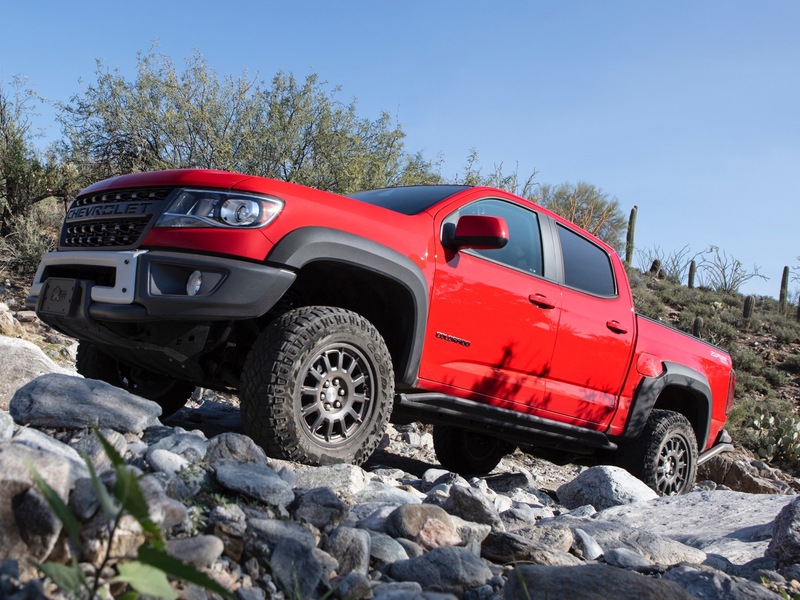 As it stands, the Chevrolet Colorado ZR2 currently makes up about 10 percent of total Colorado sales, according to Chevrolet truck marketing director Sandor Piszar. 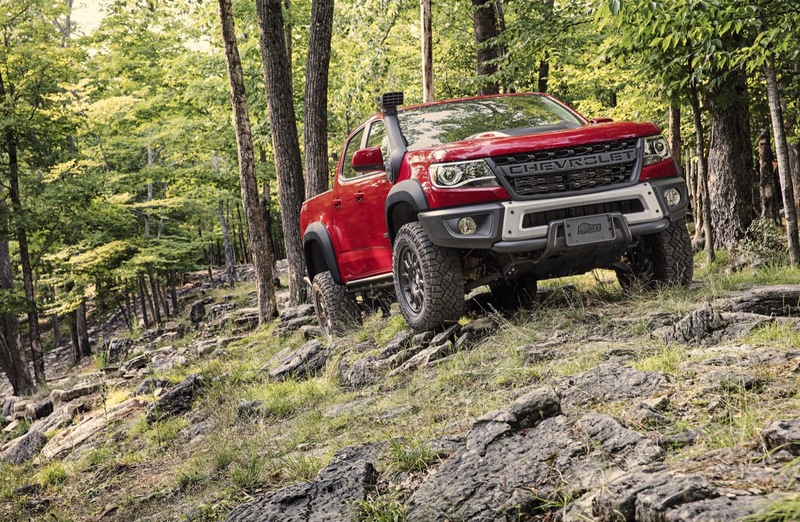 According to official sales data, the Chevrolet Colorado tallied 134,842 US sales in 2018. 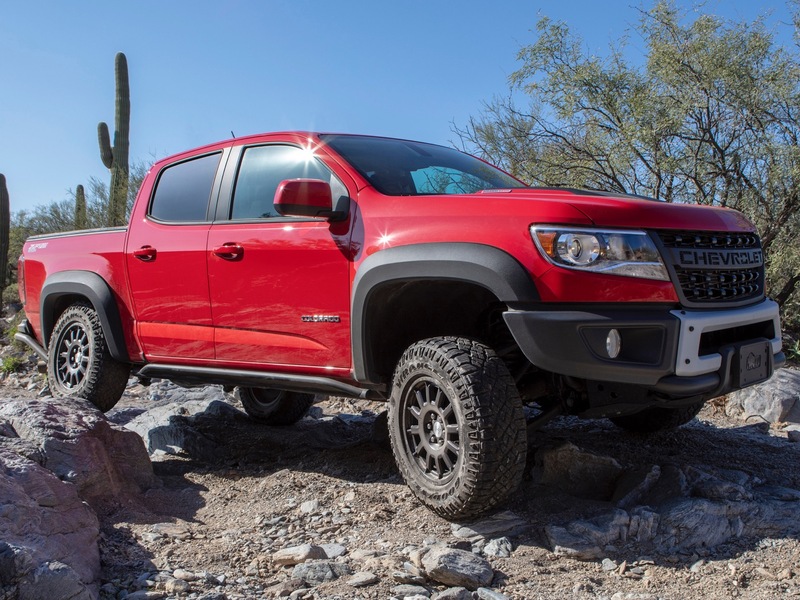 Beyond the formidable ZR2 is the extreme Colorado ZR2 Bison, which tops the Colorado truck lineup in off road capability, and price. 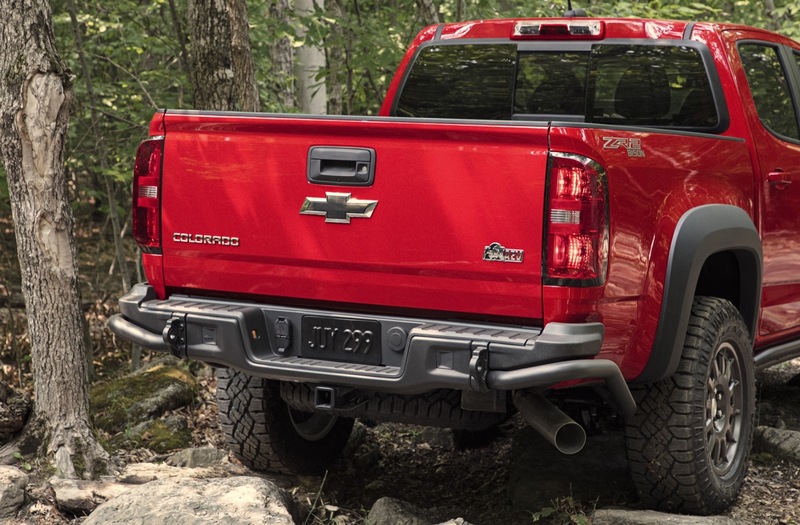 And despite the $48,045 starting MSRP, demand for the truck has been white hot out of the gate, as all 2019 model year Colorado ZR2 Bisons have been effectively spoken for by dealers. 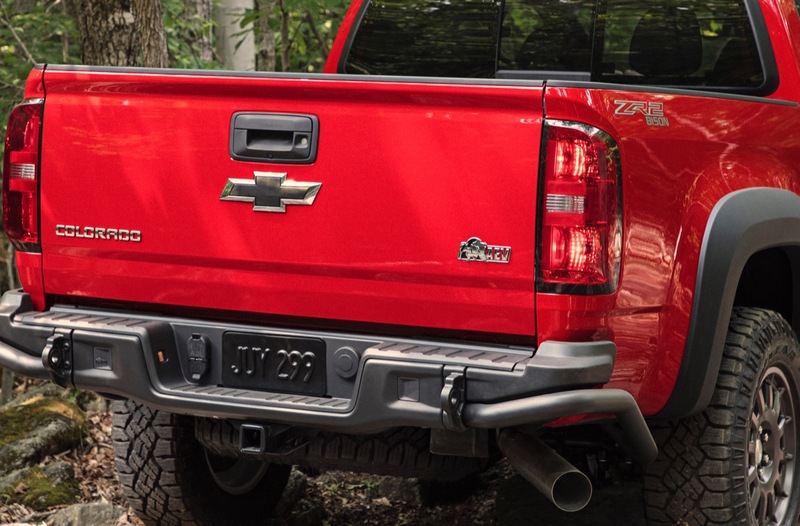 Because their demand is outweighing supply, the Bison has is effectively “sold out” from a Chevrolet perspective. 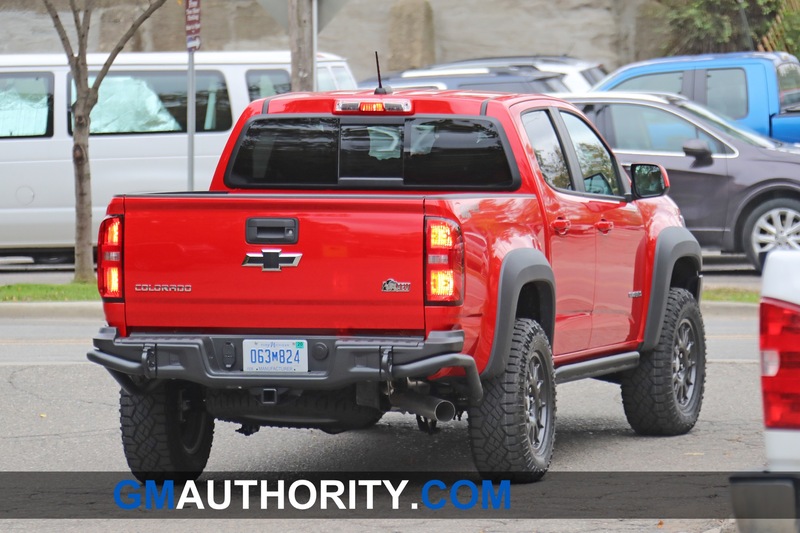 If there are any left on Chevrolet dealer lots, customers will have to be vigilant in finding them. 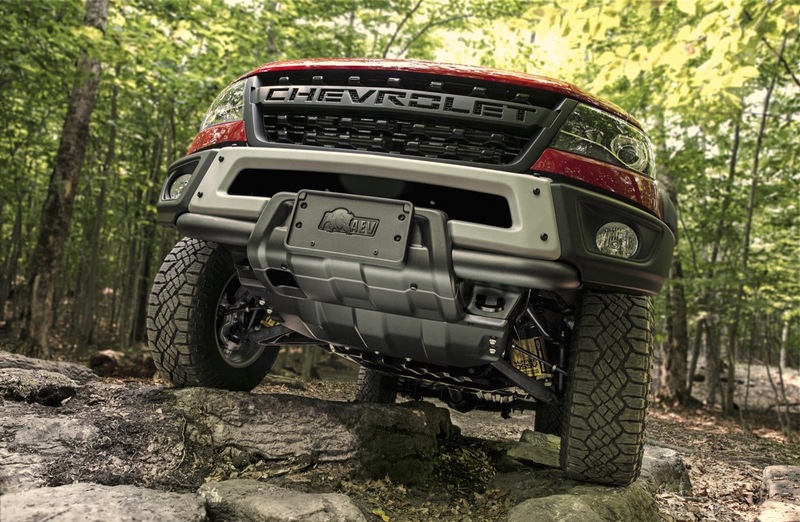 Piszar told GMA during the 2020 Chevrolet Silverado HD reveal that GM and American Expedition Vehicles – the outfitter that fortifies the ZR2 Bison with its most rugged off-road parts – allocated 2,000 units for the 2019 model year. 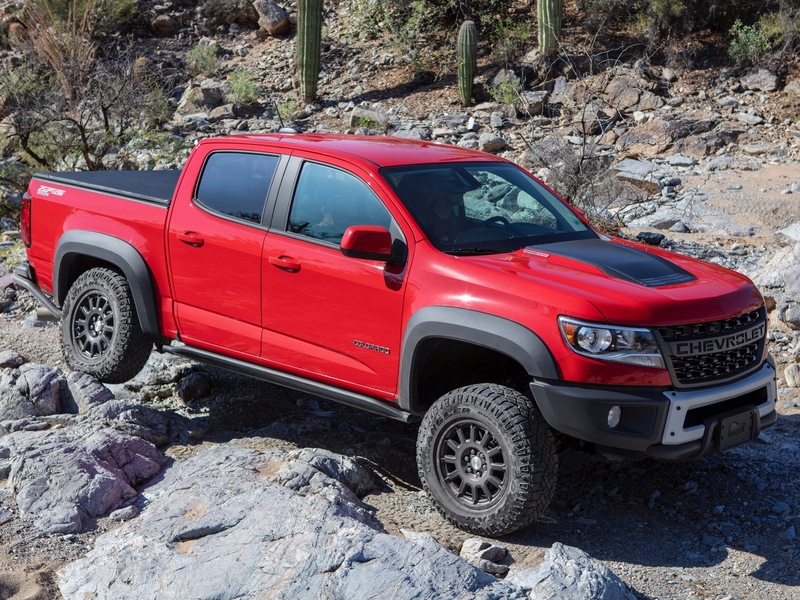 Expect strong demand to carry on into the 2020 model year. 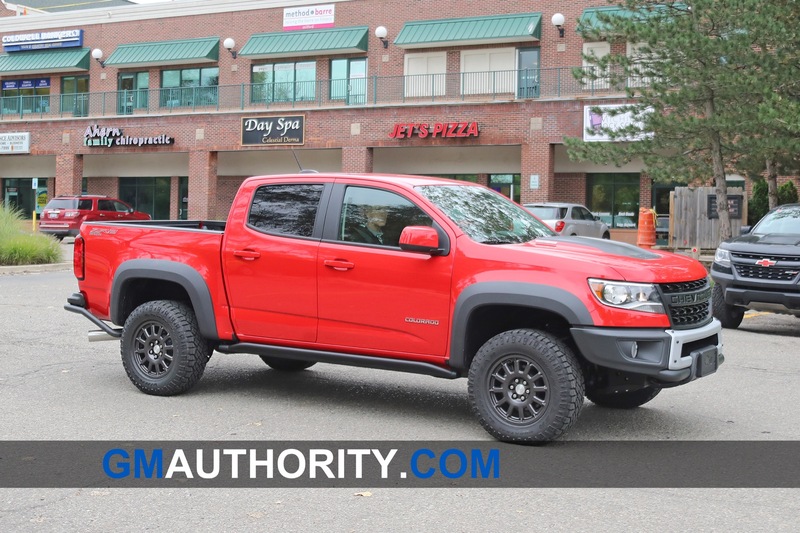 Observed demand for the Colorado ZR2 Bison also suggests that the market still has an appetite for apocalypse-ready trucks and SUVs that are ready to retreat off the road, and off the grid, should the occasion call for it. 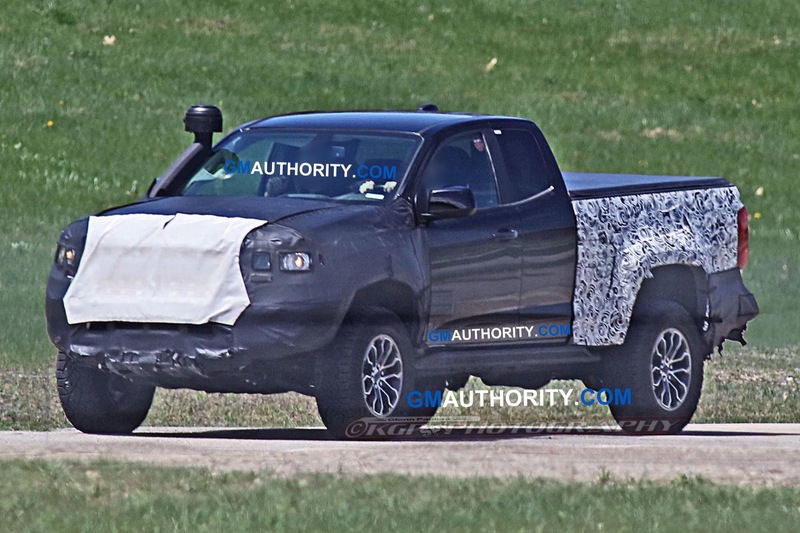 The minds at Chevrolet likely recognize this. 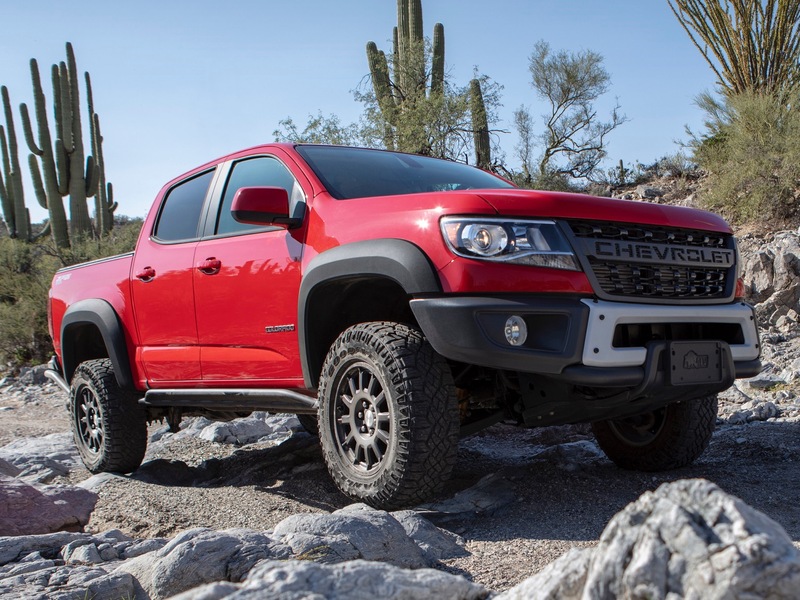 The 2019 Chevrolet Colorado ZR2 Bison launched in November of 2018 with a drive event in Arizona, where Chevrolet invited the media to drag the boron steel plated bellies of these beasts across relentless rocks that would have sheered lesser vehicles into pieces. The metal of the Bison imposing its will on the stones is a sound we won’t soon forget. 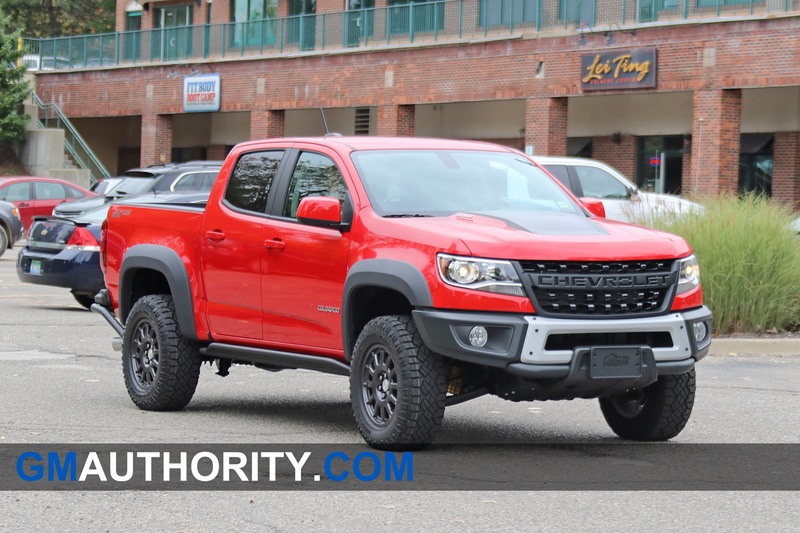 Update: A previous version of this story did not clarify the terms of how the Bison is “sold out.” It’s now been defined as maxed out dealer orders, and not that individual customers have somehow bought every ZR2 Bison. So you’re not supposed to wash a new off-road vehicle now. Not if you’re cool. How do you know they’re not? Because they’re washed and waxed? Do you throw shade at every Wrangler you see with the off-road package? 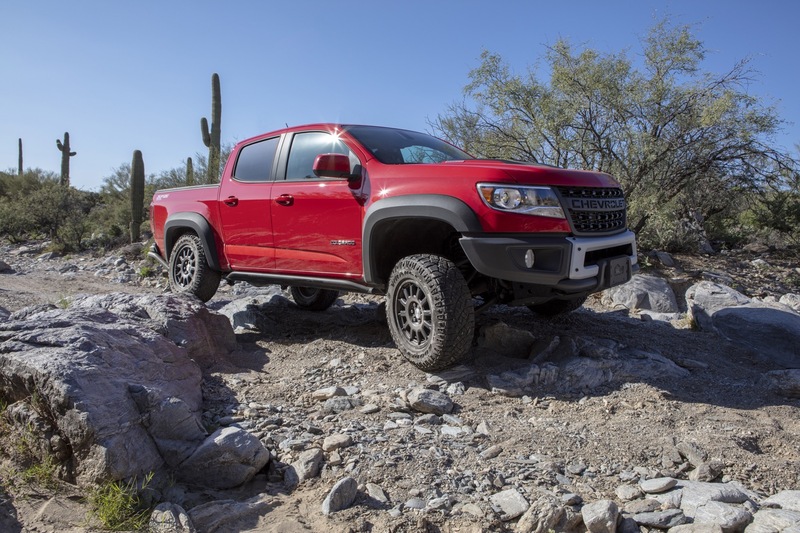 Just because you or your friends don’t go off roading, doesn’t mean others don’t. 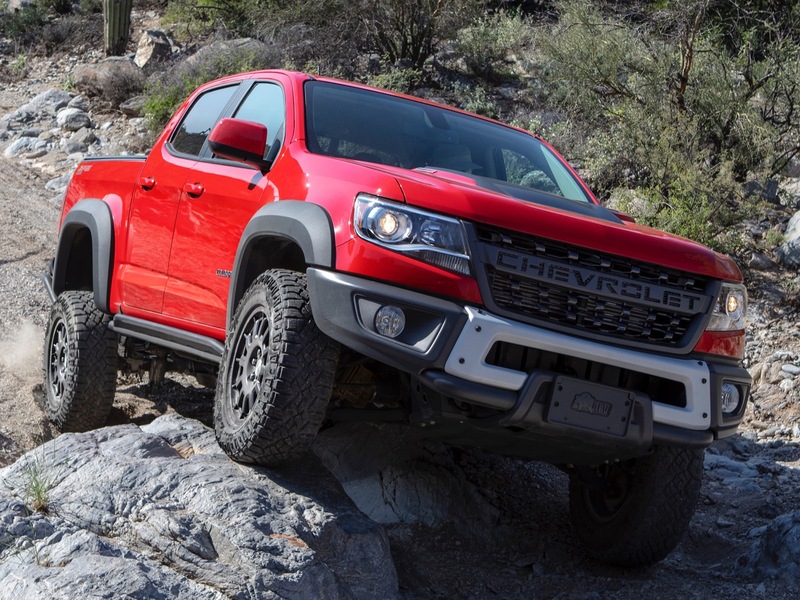 I have one of these trucks ordered and am just waiting for delivery, and I fully intend to take her off roading and often. What’s the first thing you do after a day of mudding or a weekend of over landing…. you wash the truck. There may be some ppl who leave the mud on for a week to ‘prove’ to others that they take it off the asphalt, but the majority of us properly clean and maintain our vehicles. 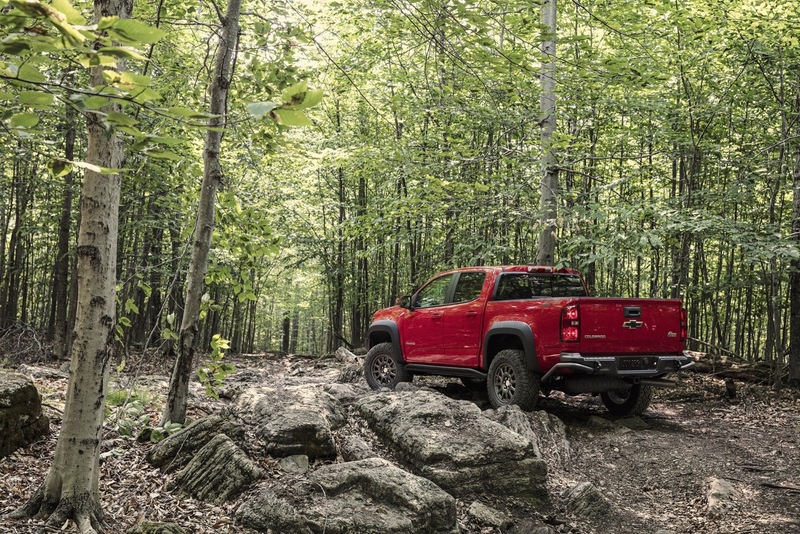 Just because you see a shiny ZR2 or Tacoma, or whatever, doesn’t mean they weren’t hitting the trails the day before. In 1972 my dad and I were racing Enduro’s, a year later we got into Hair Scrambles – we raced and practiced for about 5 years. Each Sunday evening upon returning home from a practice or an event we spray washed first, then tore the bike down, wheels and chain off, air-box opened and element out – we cleaned everything before making it to bed, despite being exhausted. 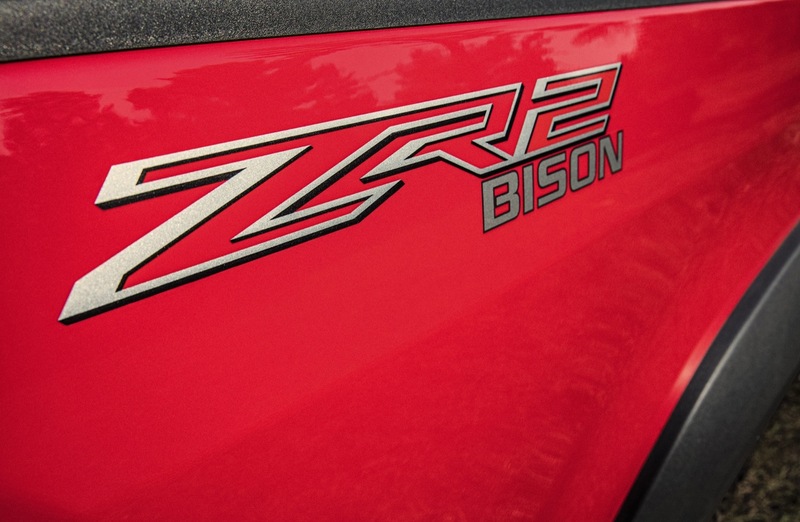 On Saturday 3/30/19 I had my Bison detailed – a week after taking delivery. Sunday, 3/31/19 – I took it off road, creek crossings (wet), crawling in a lot of loose, dusty rocks and some climbing – it definitely got dirty . On 4/2/19 it was washed and waxed again. I take pride in anything I own. I’m sure there are some who have seen the truck clean during the week. Some people are going to judge based on what little snapshot they see, who cares. Man talk about a rush. 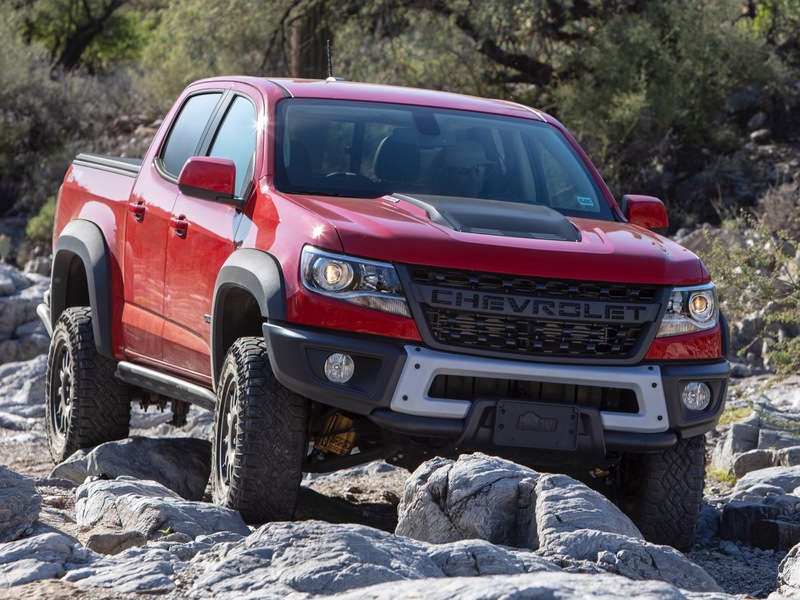 Just the pure beauty of this truck.I DON’T drive a GM but boy would I love to own this.Looks like a show truck with guts.These photos are awsom. Some buy these for looks, some buy them to drive in anger. 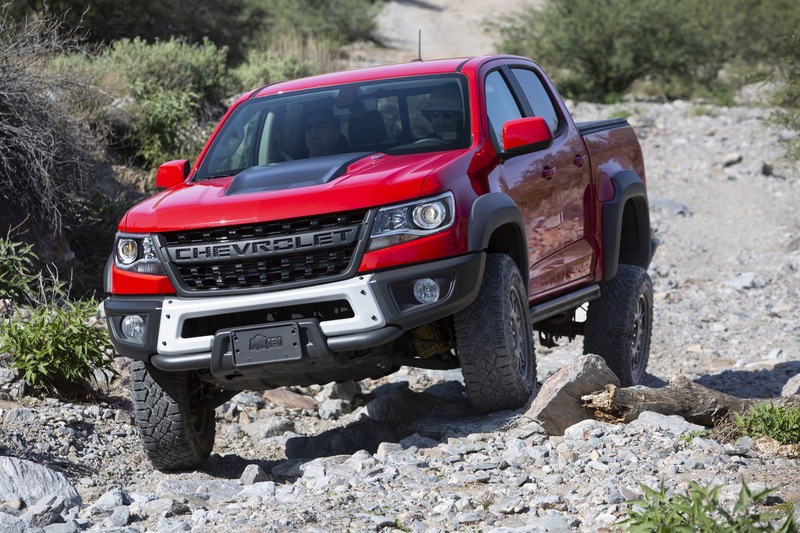 No matter what GM makes more money on these uplevel models and that is all that matters. 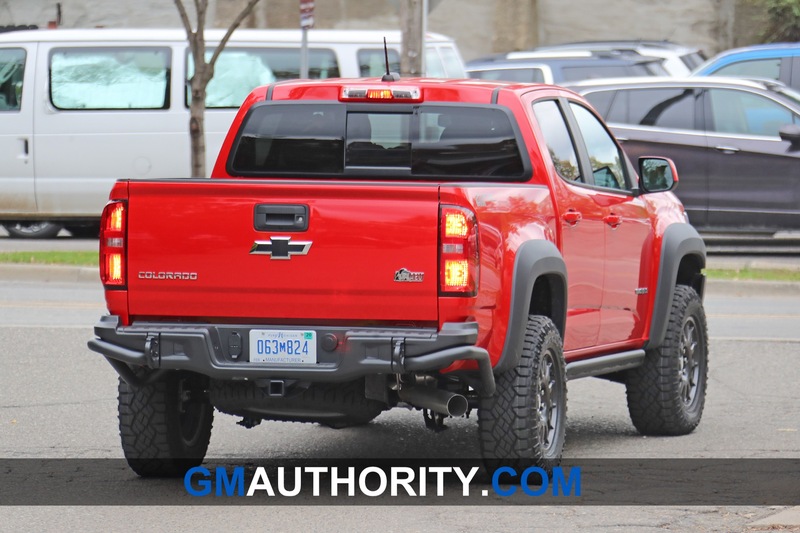 “GM makes more money on these up level models and that is all that matters.”, LOL, to GM and is so true. People with more $$$ than brains. 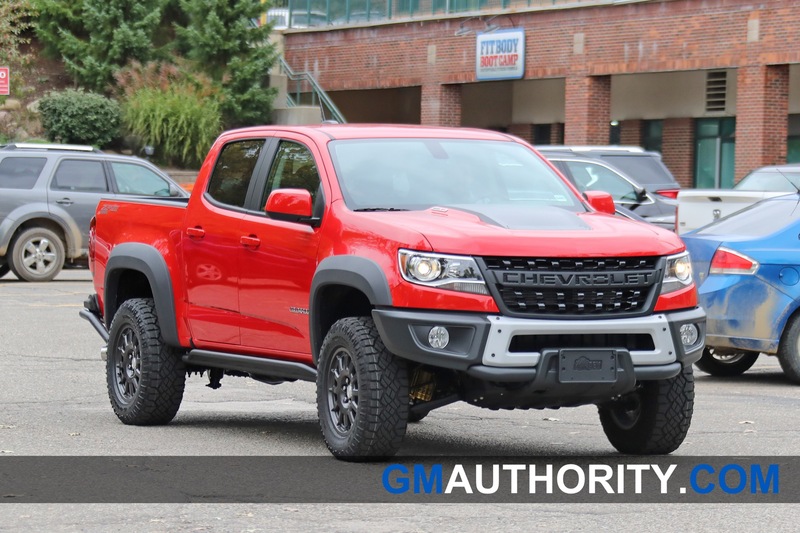 ANYTHING on this truck is available aftermarket and is as good if not better than what GM offers for less $$$$ while not affecting the warranty. Solution? Buy the package that gets you what you want not available aftermarket and upgrade from there. You’ll save $$ and gain a level of owner pride/satisfaction that isn’t achieved unless you spend stupid $$ for the “Bison”. Hell, call your build the “Rhino” and laugh at bison’s, lol. 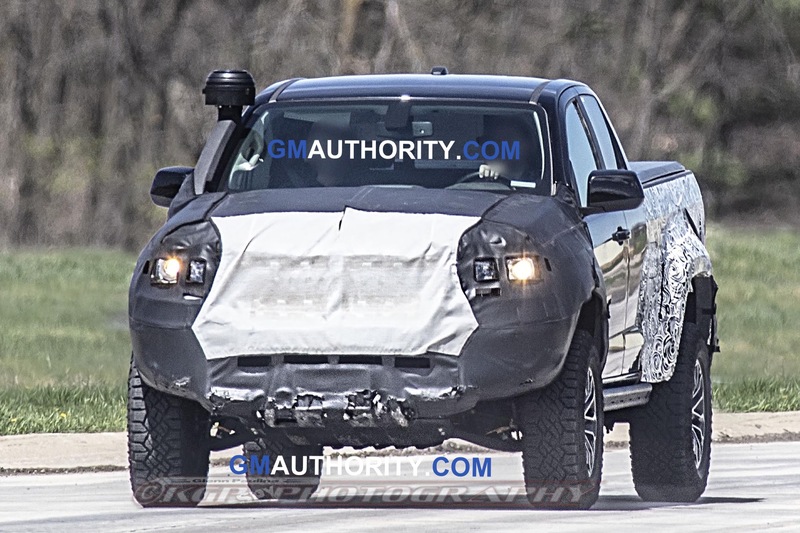 Same goes for the Raptor and will be for the “new” Ranger so don’t think ford gets a pass here. Well there are a lot of folks with green money that want a truck like this but can’t turn a wrench. Should we not take their money if the are willing to give it up of their own free will? 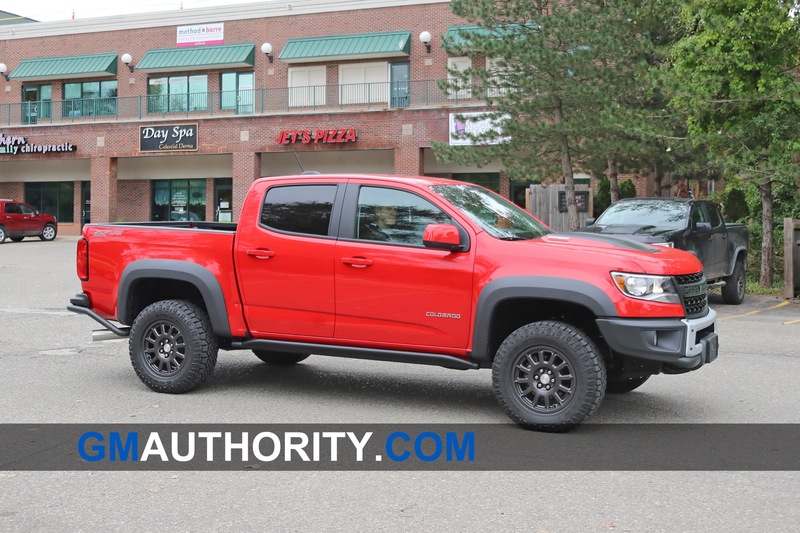 The guys who know what to do already have ZR2’s with what they want on them. They had this figured out long ago with out your help. Actually the AVM stuff is top end items. Alsontgey so far are the only one offering a gas tank skid plate. 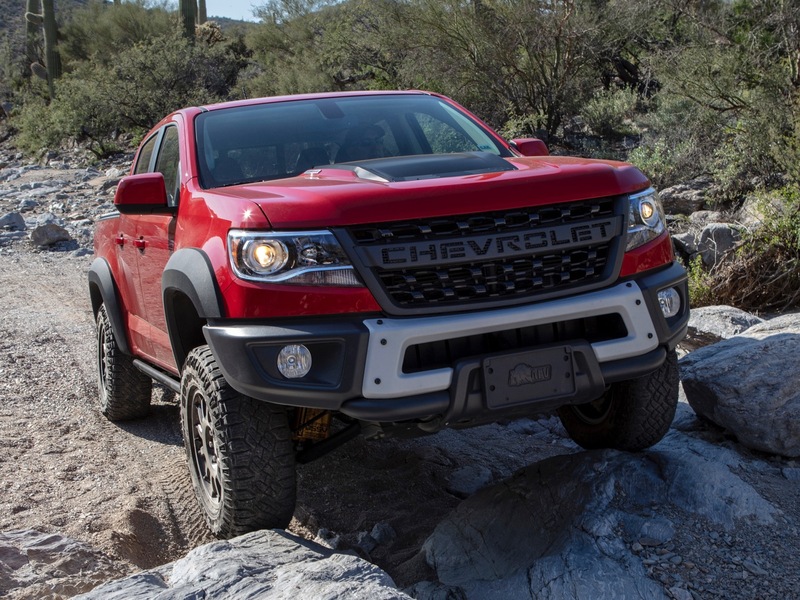 Chevy is also offering the Trail Runner model with some ZR parts less the expensive suspension parts. 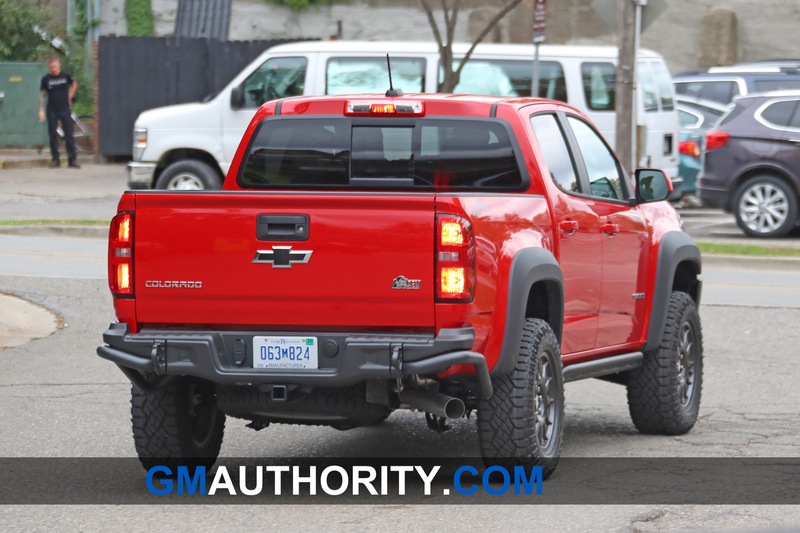 As of now GM has good coverage for each need. 1. Plenty of shops to turn the wrenches for you if you got the green. 2. A fool and his money are soon parted. There’s an @$$ for ever seat. Take your pick. 3. No kidding and they’re on the 4X4/offroad websites and forums mostly. Not so much here. 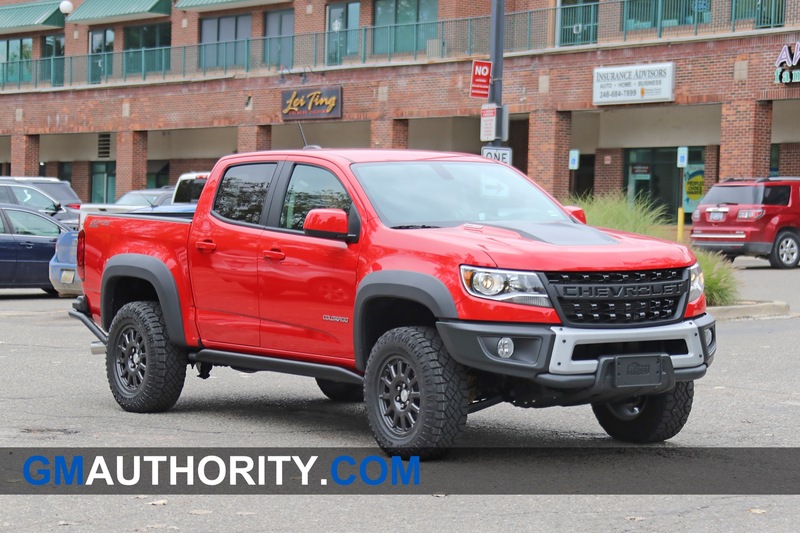 This article is about this $48K+ being sold out so I say, if you want this kind of truck buy the ZR2 and upgrade it to this level or beyond and for less $$. Nothing more. I have to laugh at the illusion of creating rarity. Sold out! Give me a break, this is a pick-up and they can make thousands per day if they wanted. 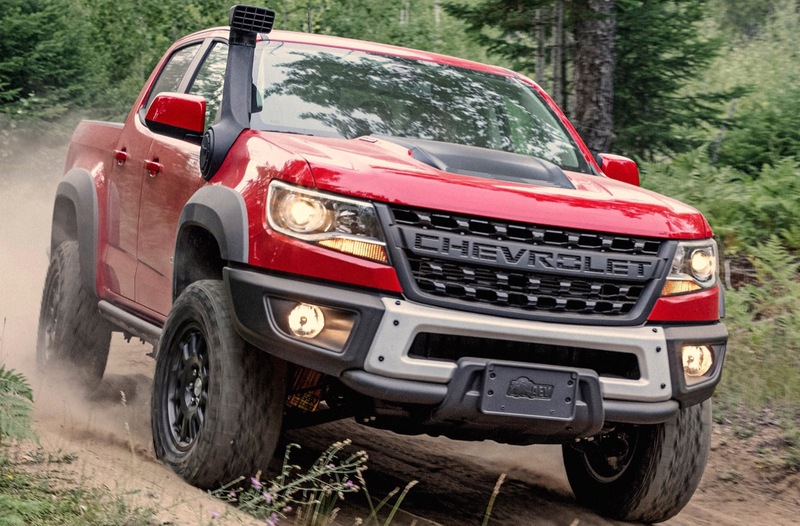 If you read the article, the company (American Expedition Vehicles) who makes the off road equipment that is unique to the Bison is only going to make 2,000 units for the 2019 model year. 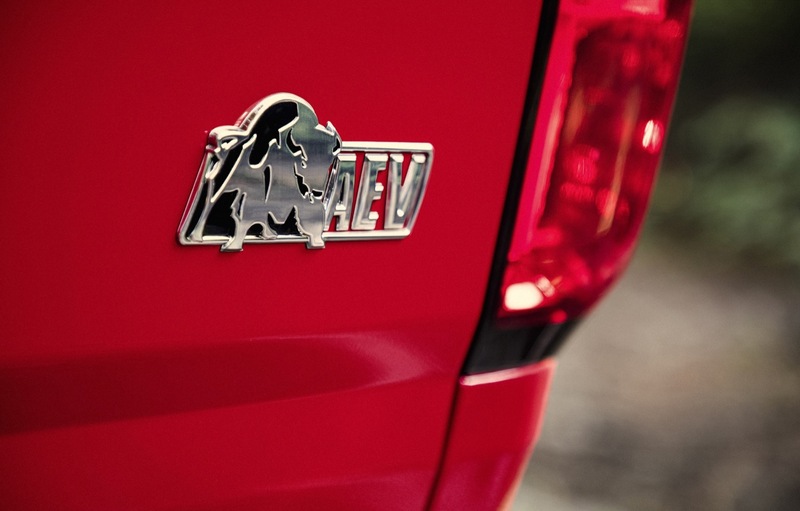 AEV may not have the production capacity to supply a larger volume of parts for the Bison, thus the low volume run. It happens all the time in the industry with specialty cars. 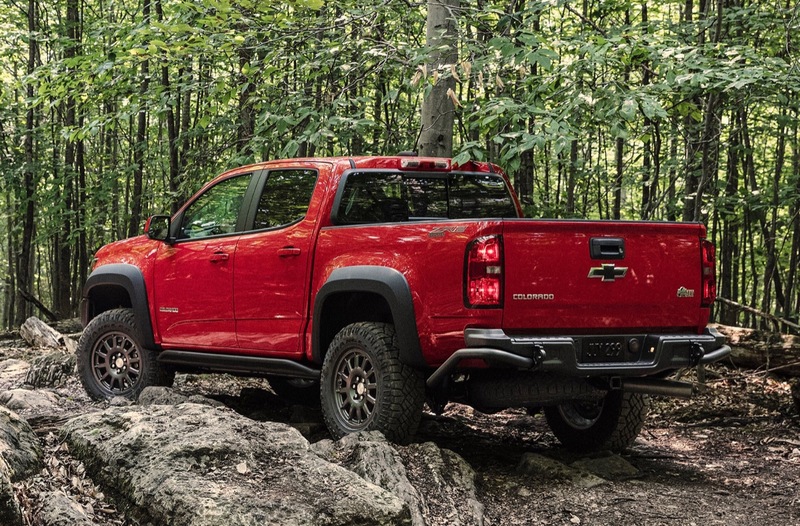 After seeing the demand, however, I’d have to imagine that AEV and GM will be trying to produce a LOT more ZR2 Bison for the 2020 model year. The profits are too great to ignore. Sorry for the repeate. I was posting at the same time. Bert since GM is doing this with an outside supplier they may have limited this the first year to better judge how well it would sell. It would have been foolish to make 10,000 units and only move 3,000 units. Better to have people waiting till the next year vs having a ton of high priced trucks waiting to sell. 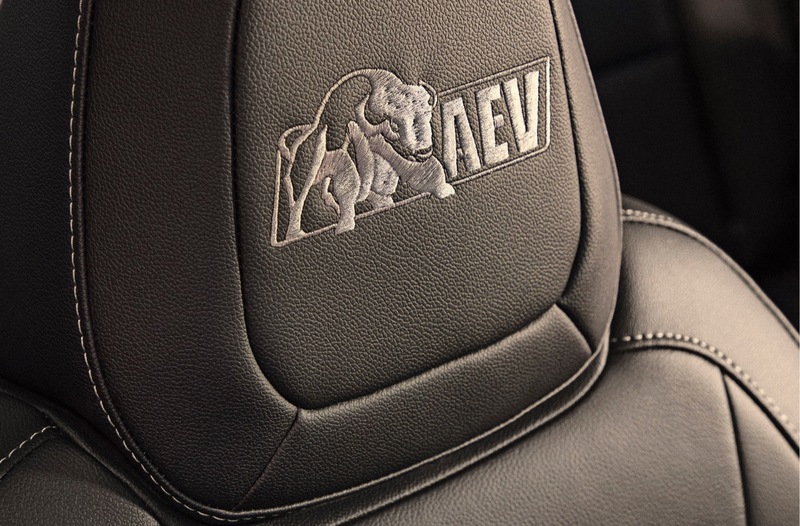 Also AEV may have limited capacity on the parts they supply. 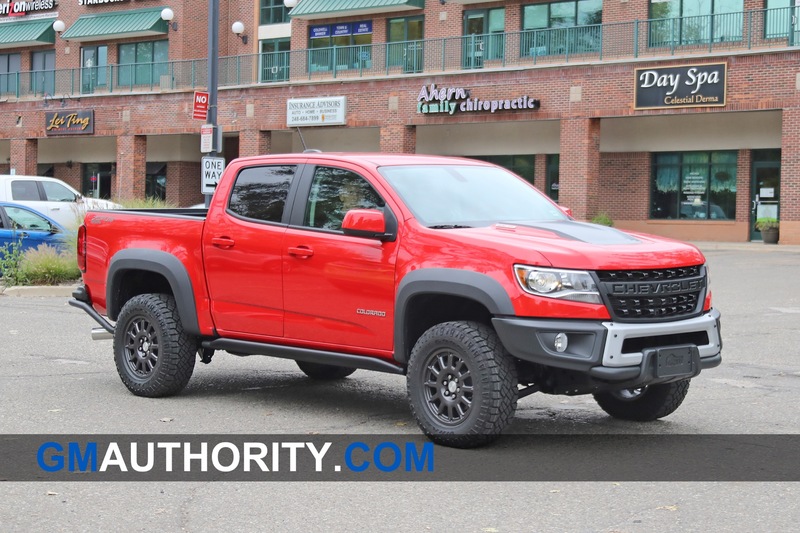 Keep in mind this is not their main product as they make products for a number of other trucks and Jeeps. No one ever said this was going to be a rare vehicle. To be honest I never saw where they said production had a cap till now. Odds are we may see them expand production if demand stays up. But where’s the fun in that if you can restrict supply to keep demand high? Ok one break coming up! Much of the investment in the tooling and extra parts all were on AEV not GM. 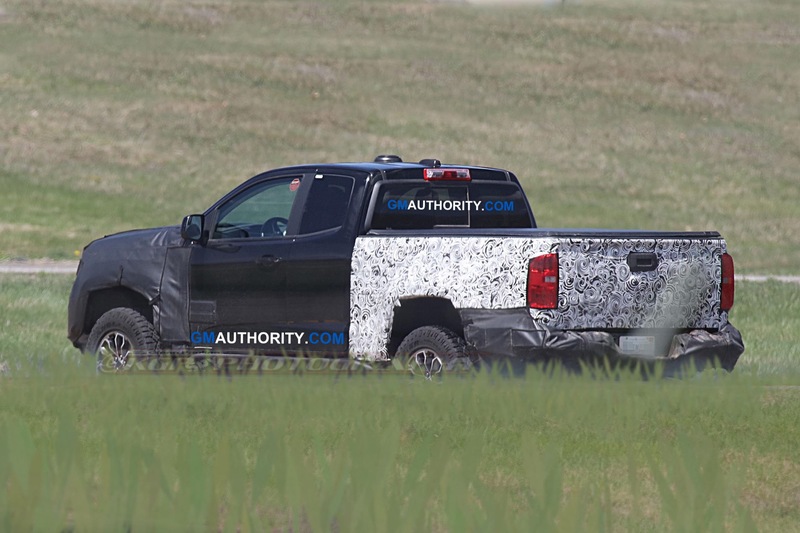 GM did most of the testing and help get the approval for the trucks to be sold through the dealers and pass crash test. AVM did the investment in the tooling and production on it. 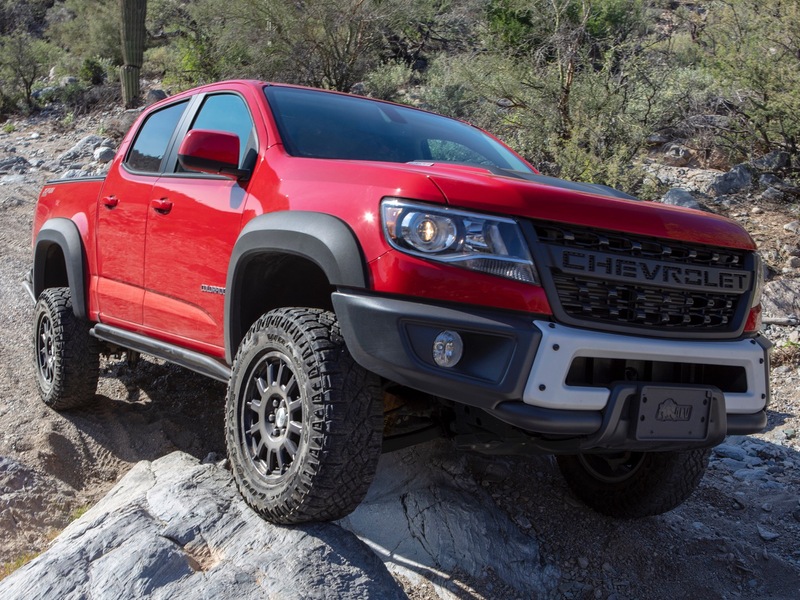 The reality is the sales drop off on mid sized truck after $40k and with this one topping $50k I am sure AVM did not want to risk making a ton of parts that if unsold would bankrupt them where is the fun in that? 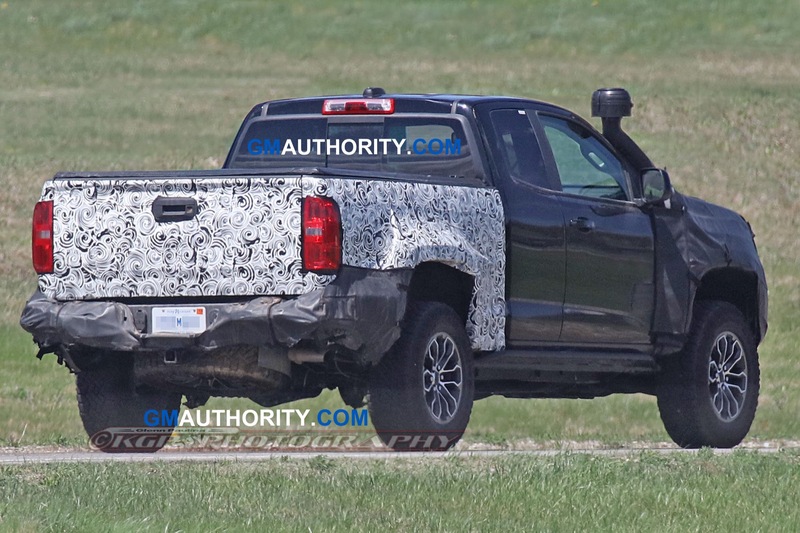 This truck is not a full GM product it was a partnership with AVM carrying much of the parts production load. 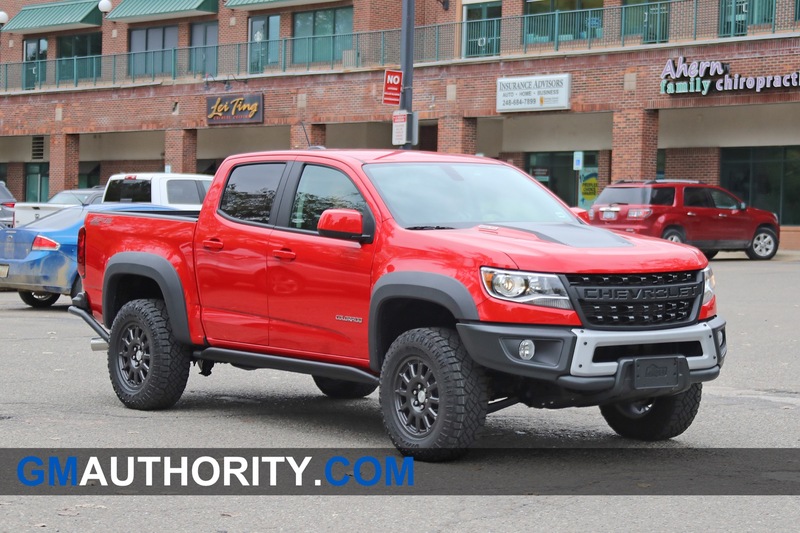 I bought a 2018 z71 Colorado with the new duramax 2.8 turbo diesel!! Love the truck! Was Always a ford buyer! 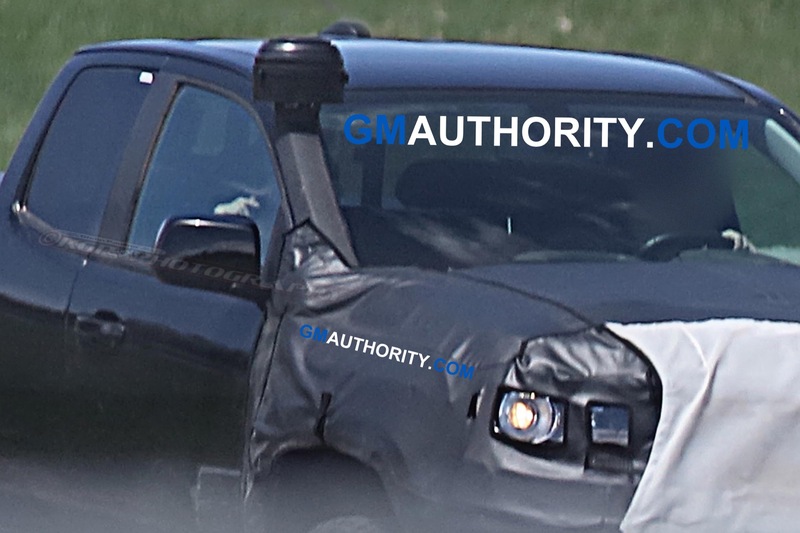 Still like Ford, but seems that Chevrolet & the GMC brand has the LOOK more so that I’m interested in!!! 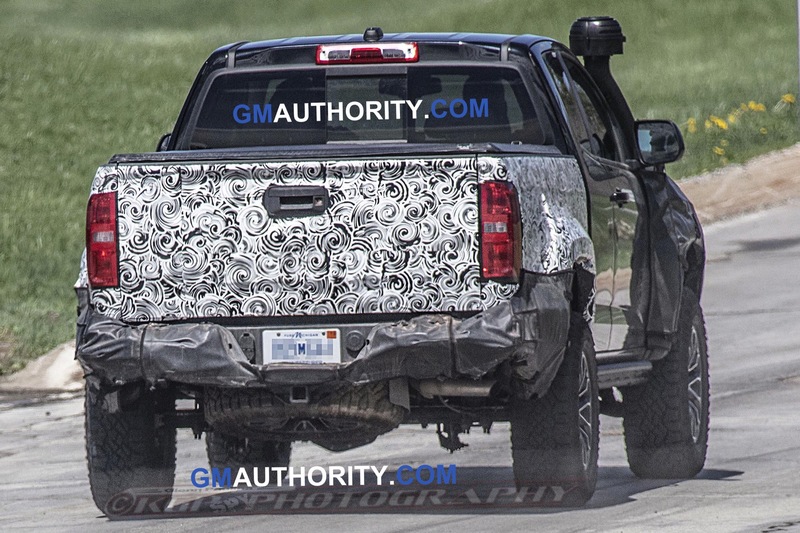 So GM keep it up with your Awesome Trucks!!! 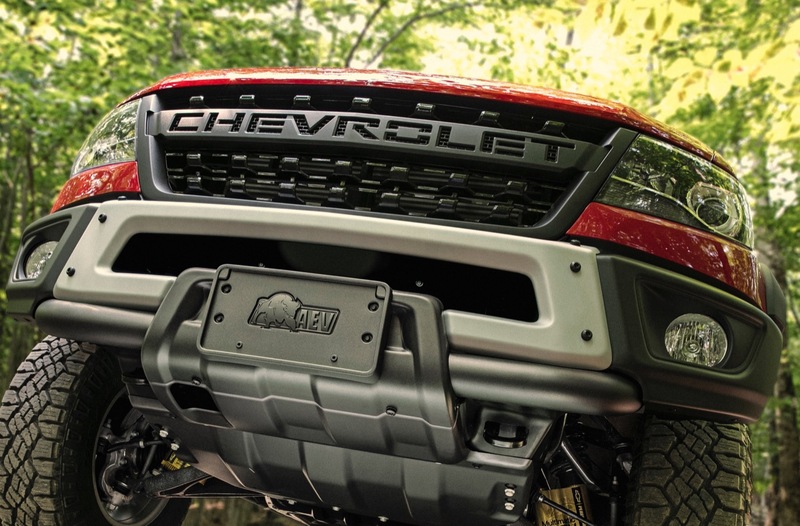 Congratulations on the only diesel midsize, and a damn good one! 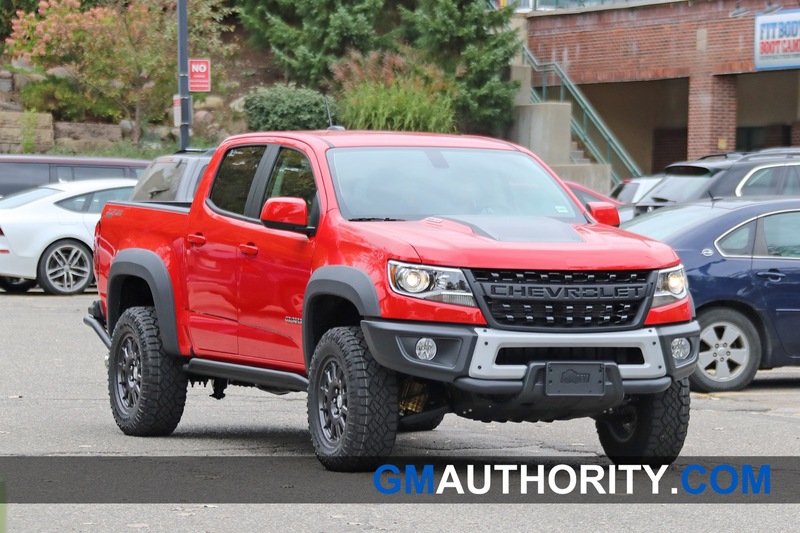 Unlike the new Silverado, which is being outpaced in Sales Numbers by the new RAM, it’s nice to know at least one of GM’s trucks is enjoying the upside in those sales numbers for the time being, those trucks have been well received thankfully by the public for a while now, and I would expect the same with the upcoming Colorado refresh or redesign for the 2020/2021Model Year, keep momentum going GM!!! 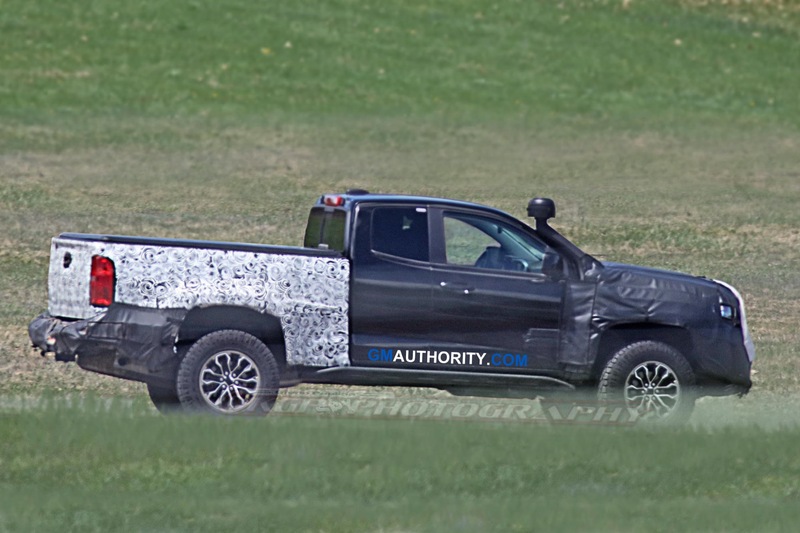 I would have really liked to see a small lift with longer travel DSSVs to fit 33” tires like the AEV mule for this had (not the SEMA tan/brown show truck you might be thinking of, a white one that TFFT did some videos on). Otherwise, we’re just talking about what amounts to $5,000+ of skid plates. Great plates, no doubt, but nothing you couldn’t piece together on your own over time if you wanted to. 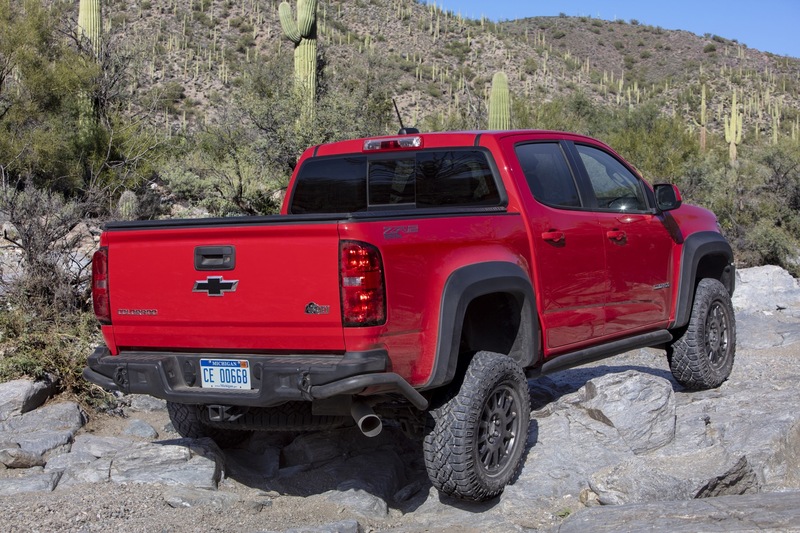 I also wonder if those in charge had thought about making a WT trim’d ZR2 package with cloth seats, the 7″ touch screen…etc to bring the cost down a bit for an “entry” ZR2. 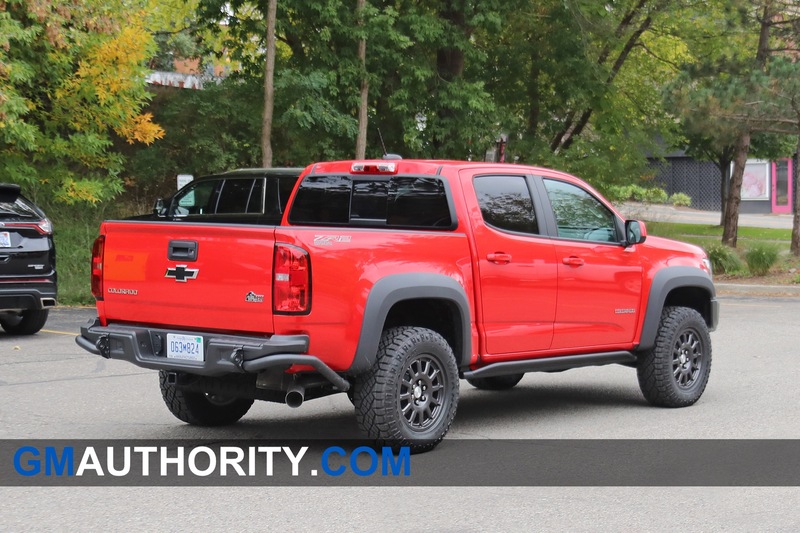 Love the ZR2 but I can’t help feeling that the Bison missed a chance to truly stand out beyond looks/plates with simple changes. 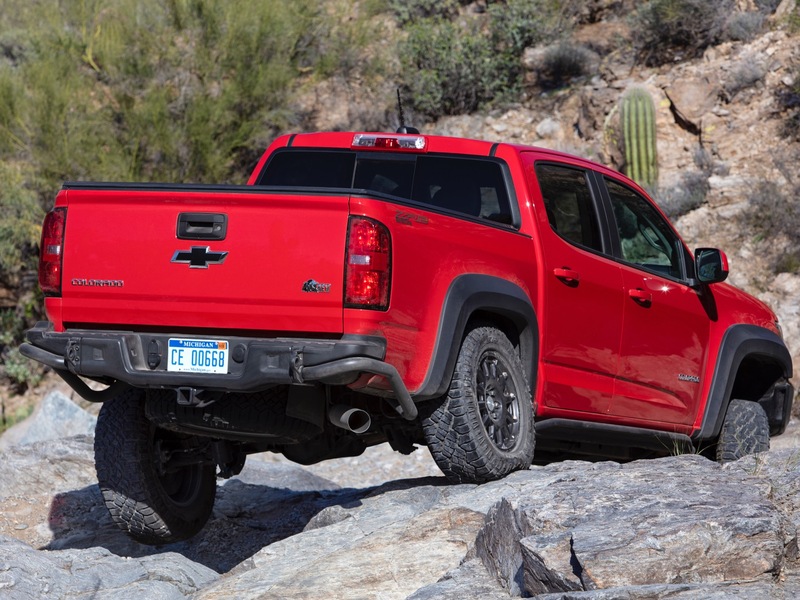 Also, can’t help feeling that the ZR2 is a cross between two different markets that don’t really align. The leather seat, fancy everything market is more the domain of street performance vehicles (SS, GT, SRT). 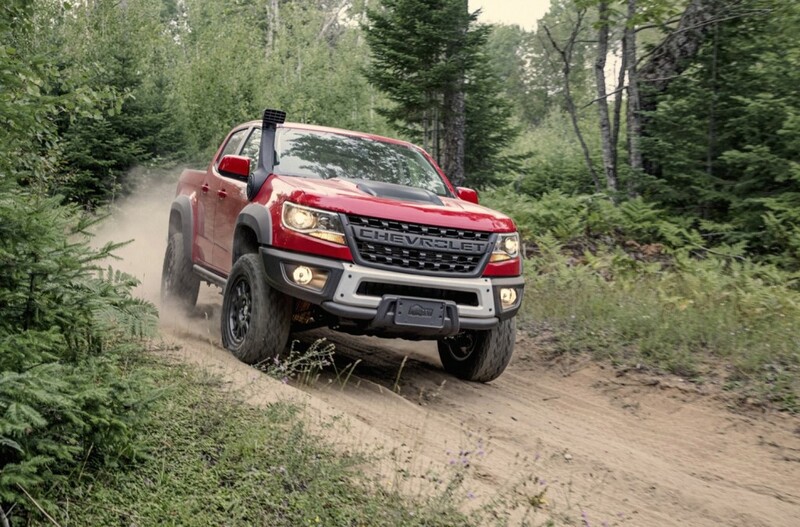 Off-roaders are more get it dirty, more go than show. I do understand how the market is likely driven far more by Mall Crawlers and “$30,000 millionaire” types that want to look cool rather than climb a boulder in a $600/mo payment. The reason GM does not offer bigger tires with the Bison is they would have to spend millions on new crash test certifications. 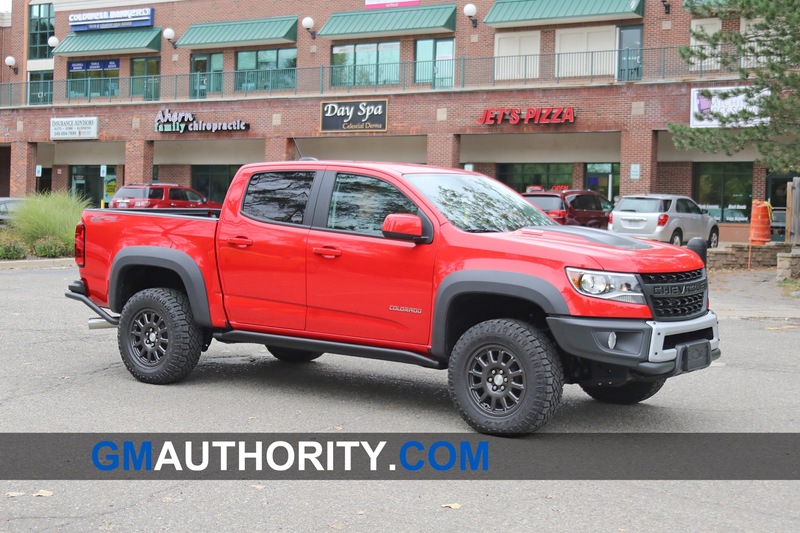 (not worth it) So they leave it up to the consumer to add the larger tires. Also, the cost is not just in the skid plates, but a new front grill, more substantial front bumper, additional lights and additional detailing in the interior. Is it worth the upgrade price.. apparently it is to 2000 people. 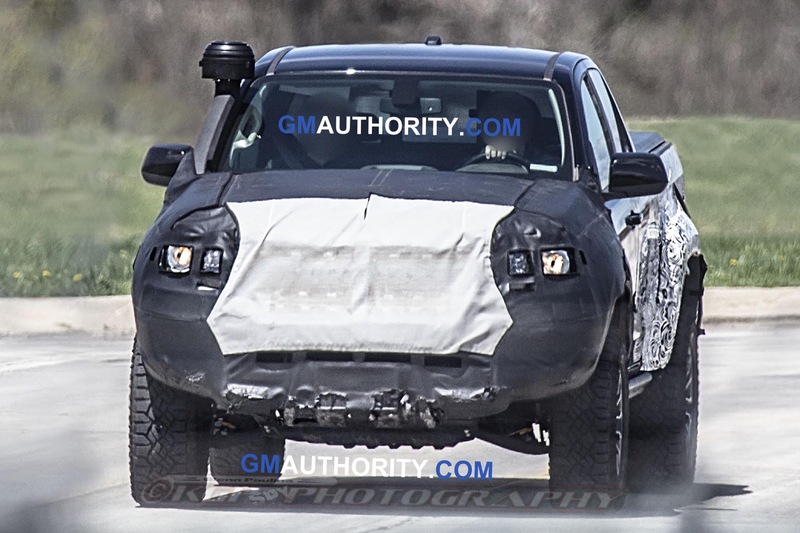 I’m sure AEV gets close to $1500 each for the bumpers alone. The fenders flares are very heavy duty, think kayak material. 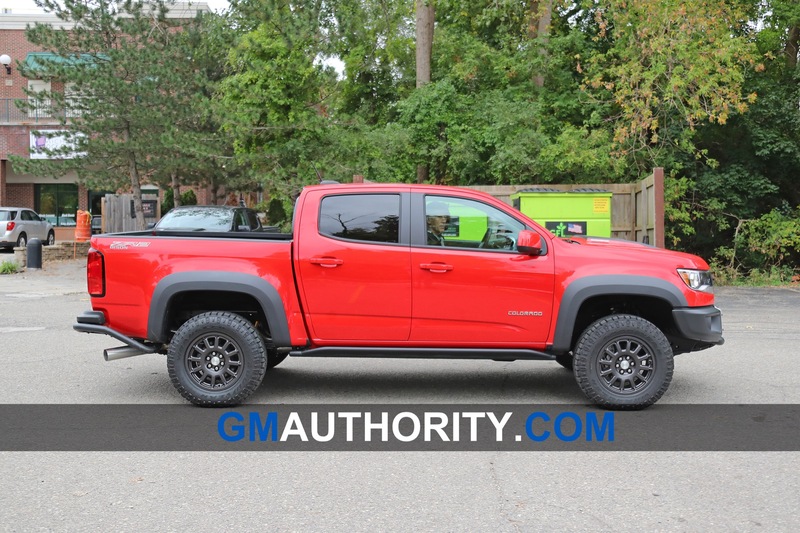 That and the nice rim and tire upgrades, I think it is easily worth the option price. 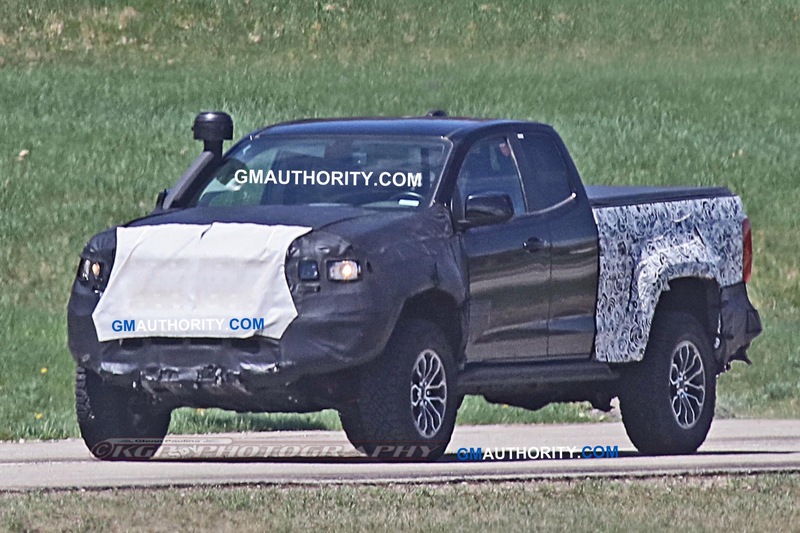 This borders on insanity.. you don’t limit the production number for a popular vehicle of any type as this is like telling potential customers to go to another dealer; further proof that General Motors CEO Mary Barra is unfit for the job and needs to be replaced. Glad I have mine ordered. Factory is building it this month. I’m very surprised that they put a 2000 limit on these. I understand not wanting to build too many and have them sitting on a lot, and to gauge what the reception will be. And I also understand that AEV needs to pump out parts as well… however I find 2000 a little low. It’s kinda cool that I’ll be one of 2000 taking to the trails in this beauty this year though. But I will admit… with the options I got… $65,000 (cad) is a bit much. 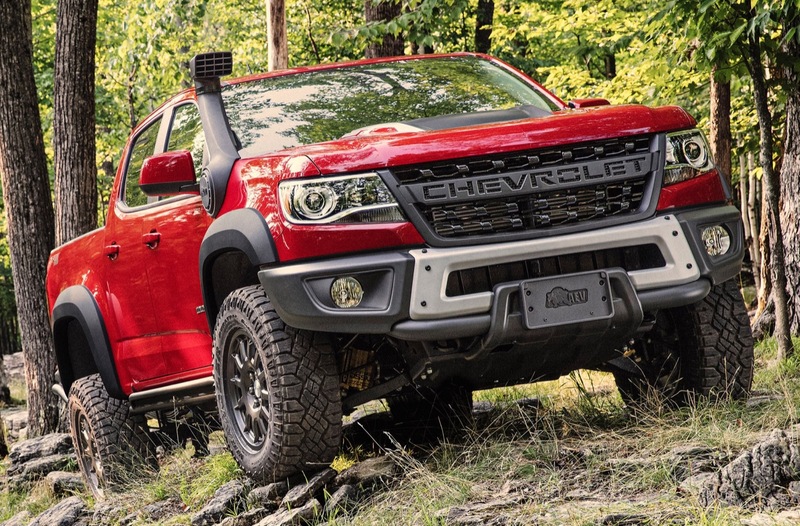 Just another ZR2 to Chevy, and to AEV, as long as they spent all the money on tooling, it’s just gravy. I expect they don’t want to neglect their other non bison customers though. I’ll bet they are running a bit of overtime on this project.